I wrote my first short story when I was in high school. Of course I didn’t know how to write a short story and had never taken any courses in writing. But I had written for my high school newspaper...So. I sent it to a “woman’s magazine”; the kind that used to be sold at supermarket check-out counters. Either Family Circle or Woman’s Day or both. Another first -it was rejected. On one rejection slip was a hand written note that began “...though you are young...” don’t remember the rest but it was encouraging overall and I did keep it in my wallet - the way other high school boys used to keep a condom (As if!) - until it got moldy. When my father learned I had written the story he bought my first typewriter which I still have - eons later - and which worked perfectly until I had it cleaned. I wrote for my college newspaper and literary magazine - short stories, book reviews etc. After graduating from college I wrote for a wire service and daily newspaper in Boston. It was somewhere around that time I decided I needed to get serious about a career and ended up in public relations. I was still writing but it was boiler plate stuff. Years later I started writing screen plays and submitting them to studios in California. They came back too. A woman at one studio suggested I move to Los Angeles and give it a shot. I did and within a few years sold four film projects. None were produced. Quelle surprise! I’ve recently finished a second novel. What is the meaning of my long and winding road? Can’t tell as I am not at the end. I often wonder if I had not “gotten serious” about starting a career perhaps I’d have written more books by now. We’ll never know. I do know that it is very important not to give up; not to give in to the opinions of others - even if they out-stature you - i.e. professors, parents, friends, literary agents are in that category. Be true to yourself (a blatant cliche) and trust yourself (another one). If you do that you’ll never have any regrets. 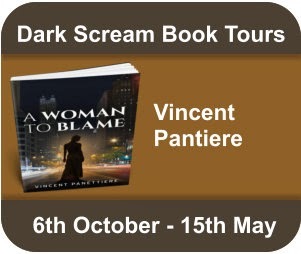 Vincent Panettiere is a former literary agent, representing writers and directors in televIsion and film. At the same time he was certified by the Major League Players Association (MLBPA) to represent major league baseball players. Previously he was an executive with Twentieth Century Fox and CBS. 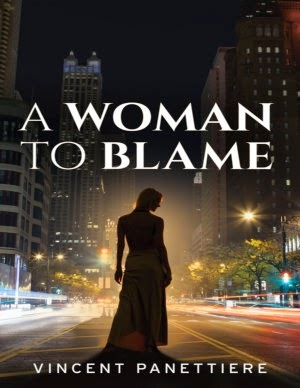 A WOMAN TO BLAME is his first novel. 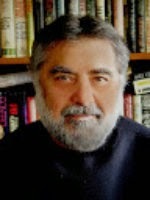 Previously he wrote and published The Internet Financing Illusion which investigated the dark side of the Internet and the scams committed upon unsuspecting businessmen.